YES! to Nuclear….NO! to Wind! 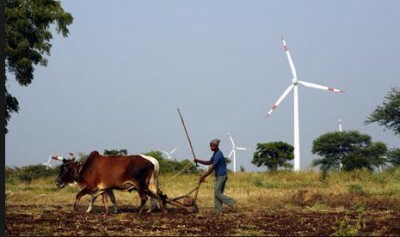 After the Paris Climate Jamboree, the wind industry, its parasites and spruikers are licking their chops at the prospect of having the rich world fund the construction of millions of these things in the dark corners of the Planet. But, while the eco-fascists that ponced around Paris are ready to foist a wholly weather dependent technology – that was abandoned in the 19th Century, for fairly obvious reasons – on people who are still left cooking with twigs and dung, sensible first world economies have tumbled (albeit, belatedly) to the fact the wind power is patent nonsense. The French generate over 75% of their sparks using nukes – and have used nuclear power – without any serious incident – for over 50 years: the first plant kicked off in 1962. Nuclear power is the only stand-alone thermal power source that is base-load; and which does not emit CO2 emissions when generating power. It’s a fact not lost on those with the task of dragging hundreds of millions out of stone age poverty in the World’s largest democracy, India. And its hard-pressed populace, who have already worked out the significant difference between ‘real’ electricity – available 24 x 365 and ‘fake’ electricity – that’s as fickle as a summer breeze (see our post here). Experts participating in a two-day seminar which began here on Wednesday expressed divergent views on the role of nuclear energy as a cleaner alternative to fossil fuel sources. Governor P. Sathasivam, who inaugurated the seminar, set the ball rolling by stressing the role of nuclear energy in the move towards cleaner energy sources necessitated by India’s climate change commitments. T.P. Sreenivasan, Vice Chairman, Kerala State Higher Education Council, said it was time to think of a world without nuclear energy and set a timeframe for the transition from nuclear power to cleaner sources such as solar and wind energy. Pointing out that countries such as Germany, France, Switzerland and Austria were either committed to closing down nuclear plants or opposing nuclear renaissance, he stressed the need to formulate a new approach between nuclear enthusiasts and opponents. A former Ambassador and governor for India at the International Atomic Energy Agency, Vienna, Mr. Sreenivasan said India, China, and Russia were the only countries enthusiastic about nuclear power today. Citing the assessment of lifecycle GHG emissions, Mr. Chauhan said solar and wind energy were no match for nuclear power as an alternative to fossil fuel. The lifecycle GHG emission of nuclear energy is 15 gm of co2/ kwh against 45 gm for solar power and 11 gm for wind energy. But wind energy had the disadvantage of a lower conversion rate of 22 per cent against nuclear power (90%). Solar power generation also required huge tracts of land and was not capable of uninterrupted power supply. Mr. Chauhan said India would have to augment its nuclear generation capacity in a big way to meet its climate change commitments. 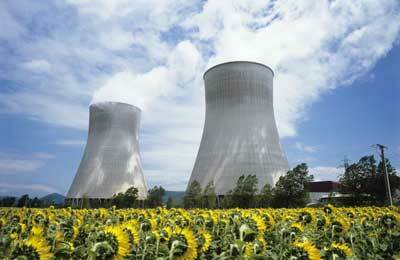 He added that nuclear plants in the country conformed to international regulations in safety and technology. Mr. Sreenivasan, who chaired the session, pointed out that the Paris climate change summit had not endorsed nuclear energy as a solution to the problem caused by GHG emissions. The reason that the climate-cult haven’t “endorsed nuclear energy as a solution to the problem caused by GHG emissions” is twofold: there’s $billions to be pocketed in massive subsidies directed to meaningless power sources that are never available on demand; and the cultist, in a form of perverse neo-Marxism, is hell-bent on depriving the poorest on the planet from ever approaching the Champagne and Caviar lifestyle, that they selfishly enjoy and take for granted; like the ACF’s CEO Kelly O’Shanassy. The Hindu’s piece was picked up and parsed by WattsUpWithThat. I suspect it won’t take the Indian energy experts long to conclude that Western opposition to nuclear power is irrational, which will likely lead them to question the legitimacy of other things Western “experts” have told them. Former NASA GIS director James Hansen, and a handful of other leading climate alarmists, have repeatedly stated, that the only plausible means of reducing CO2 emissions, is a vast expansion of nuclear capacity. But as the Indian energy experts will quickly discover, pointing out the bleeding obvious to green fanatics rapidly leads to bullying and name calling – even if you are James Hansen. Deprive Indians of secure, reliable and affordable power and they’ll remain dirt poor forever, but who cares, right? 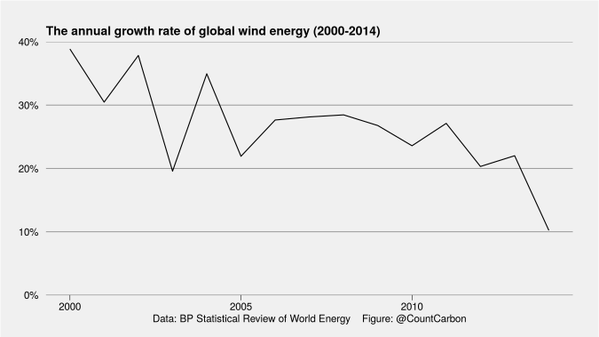 ← Wind Energy is Not Viable….Here’s Why!